University of Science and Arts of Oklahoma received a B.
Washington Monthly's ranking of 159 out of 246 of Liberal Arts Colleges - Overall Rank was a major contributor to this grade. The faculty and administrators at the University of Science & Arts of Oklahoma strive to give the students here a broad-based liberal arts degree. Chickasha (just say it aloud, it's fun) is the home to this progressive state university, and is only 45 miles from Oklahoma City. What are the top 3 reasons someone should attend University of Science and Arts of Oklahoma? The top 3 reasons someone should attend is if they want a small college experience, they enjoy learning more than just what their degree asks, and they want a very personal chance to learn. What is a typical University of Science and Arts of Oklahoma student like? Describe the type of person that should attend University of Science and Arts of Oklahoma. Celebrating a century of service as Oklahoma's only public liberal arts college, the University of Science and Arts of Oklahoma - nationally ranked for quality and value - is a recognized leader and innovator in interdisciplinary studies. The college was founded in 1908 as a women's institution, the first college created by Oklahoma's first legislature. USAO is one of only seven state institutions with similar missions ever created in the United States. Other than the University of Oklahoma, USAO has the oldest original mission of any state college or university in Oklahoma. Located in Chickasha, USAO is the only Oklahoma college to be named a National Historic District on the National Register of Historic Places. What are the top 3 things that students do for fun at University of Science and Arts of Oklahoma? The top three things students do for fun are watch the sporting events, attend all the campus celebrations, and have study groups. Learn more about financial aid at http://www.usao.edu/financial-aid. Estimate the net price for you at http://usao.studentaidcalculator.com/survey.aspx. University of Science and Arts of Oklahoma participates in the NAIA Division I for college athletics. Want more info about University of Science and Arts of Oklahoma? Get free advice from education experts and Noodle community members. Can you tell me the phone number for USAO? My sister graduated from there and her class is having a reunion in November. She needs more information about the 1961 reunion. 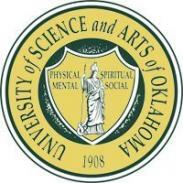 The phone number for University of Science and Arts of Oklahoma is (405) 224-3140. More information about the school can be found on its website. Thanks for the question! Feel free to ask another one any time you need!